What should I look for when choosing a paintless dent repair company? How long will dent removal take? Why don’t you use paint? If I leave the car dents alone, will heat from the sun pop the dents back out on their own? Will dry ice pop the dents back out? What should I do if my vehicle is damaged by hail? Will a hail damage repair claim raise my insurance rates? How much time do I have to make a hail damage repair claim? What if I decide to spend the insurance check and not repair my vehicle? How long do I have to get a hail-damaged vehicle repaired? First, look for an established company, one that has years of experience and an outstanding reputation. A good company has a strong working relationship with local car dealerships, body shops, major insurance companies, warranty companies, and others. Precision Dent Repair offers these features, plus our customer service is exemplary! Almost. The paint has to be in good condition for paintless dent removal to work. We can’t make a car dent repair if there are excessive scratches or flaking paint. We’re happy to check out any car dent and will give you an honest assessment. Because every dent is different, we’ll give you a free estimate. If you email or text us a high resolution picture of the damaged area, we may be able to give you a dent removal estimate right away. 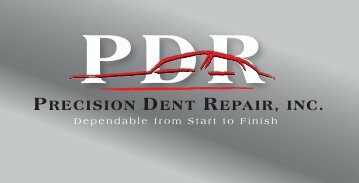 Most dent repairs take us less than an hour. The size of the dent(s), location, depth, diameter, etc., all determine how long we’ll need to make your paintless dent repairs. More than an hour might be required for large dents or extensive hail damage repair. Repainting even a small area will depreciate the value of your vehicle. Our process rebuilds the metal without harming the existing paint. Since our process doesn’t use paint, Bondo® or any other chemicals, we’re “green” and environmentally friendly. No. The dents must be manually repaired using specially-designed dent removal tools. No. Trying this may make the damage worse. An extreme temperature change to the painted surface could crack the paint and expose bare metal that will soon rust. As soon as reasonable, call your insurance carrier to make a claim. Also check to see if you have rental coverage and for how much. Make an appointment with the insurance adjuster. He/she will estimate the hail damage. You could be issued payment on the spot or the insurance company may send you a check. Call us and schedule an appointment for hail damage repair estimate. Don’t worry if the amount of the check isn’t exactly the same as our estimate. Your adjuster may not be familiar with hail damage repair claims. If needed, we’ll negotiate with your insurance company to take care of any discrepancies. No. Hail damage repair is a comprehensive claim. Considered an act of God, hail damage repair will not raise your insurance rate. 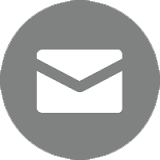 We suggest that you make your hail damage repair claim as soon as possible. Since hail damage often affects a large number of policy holders at the same time, many insurance companies will send teams of adjusters to the area to help expedite the claims process. Think carefully before you choose not to repair hail damage that will decrease the trade-in value of your vehicle—by as much as half. If your car is leased, you’ll pay out of pocket for any hail damage when you return it. Note too that unrepaired damage will be noted on your insurance policy and future claims may be denied until your car's hail damage is repaired. It makes no sense to wait. Insurance checks are usually good for six months.